Want to know more about Aluminum finishing techniques? 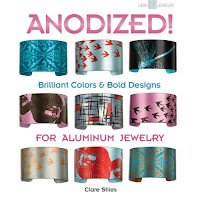 This books shares some great ideas about staining, painting, etching, and anodizing aluminum. This is not a complete "How to Book" but it is a great jumping off point with great resources.